This is a single-chip DLP WUXGA resolution unit outputting 7000 lumens. 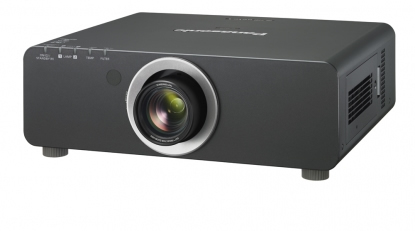 Beyond HD, 7000 lumens Single chip DLP projector, 1980 x 1200 pixels WUXGA, 16x10 aspect ratio. Features: 2500:1 contrast ratio, Vertical/Horizontal lens shift, vertical keystone correction, multiple inputs include HDMI, DVI-D, RGB, Video, and S-Video. Accepts interchangeable lenses.